The Scion Tank by Innokin is a 3.5ml subohm tank with 510 thread, which can work with most 510 thread MOD. The Scion comes with scion RBA head which fit its dual post velocity style build deck as well. 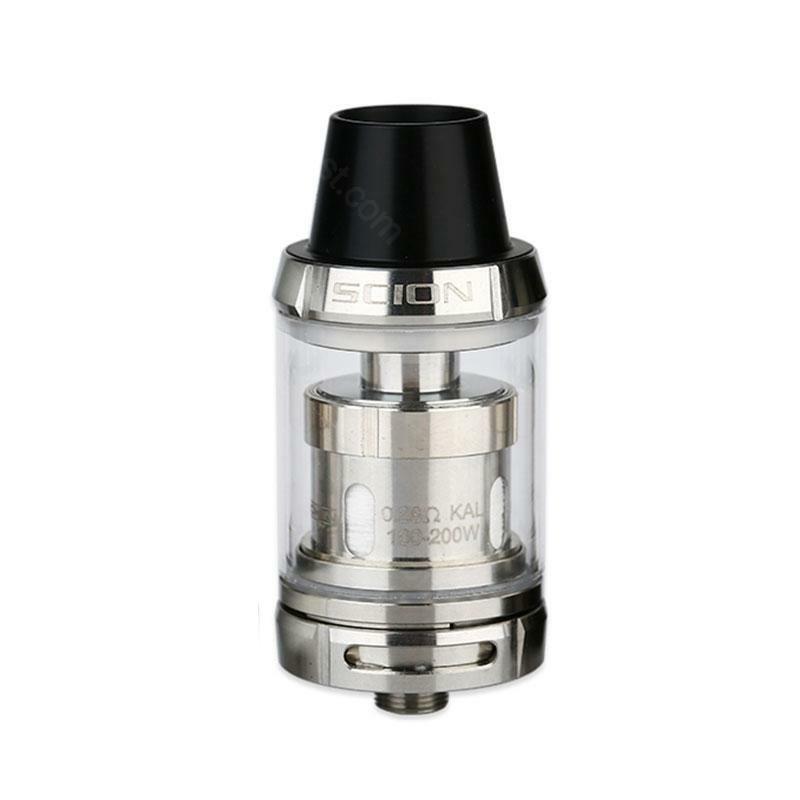 The Scion Tank by Innokin is a 3.5ml subohm tank with 510 thread, which can work with most 510 thread MOD. The Scion comes with scion RBA head which fit its dual post velocity style build deck as well. If you take a close look at this tank, you'll notice its sleek and compact design. For the purpose of pure taste and massive cloud, this tanks offers you the convenient top filling design and adjustable airflow. Along with its unique drip tip which is wide bore Delrin, you will never need to worry about the slip of the tank because of a small drip tip. We are selling Black, White, and Silver color with the competitive price now. Check it out! I purchased this Innokin Scion Sub Ohm tank for travel and it is everything I hoped for. Mit diese maschöne kann man gut zigaretten machen, keine pausen in zigaretten. Ich bin wirklich sehr zufrieden und empfele ich weiter Innokin Scion.